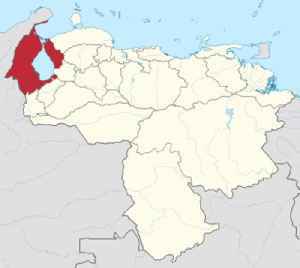 Zulia State is one of the 23 states of Venezuela. The state capital is Maracaibo. As of the 2011 census, it has a population of 3,704,404, the largest population among Venezuela's states. It is also one of the few states in Venezuela in which voseo is widely used.